Part of the commercial-grade Unity Office Collection, the Unity high file espresso filing cabinet offers a compact filing space perfect for smaller offices. 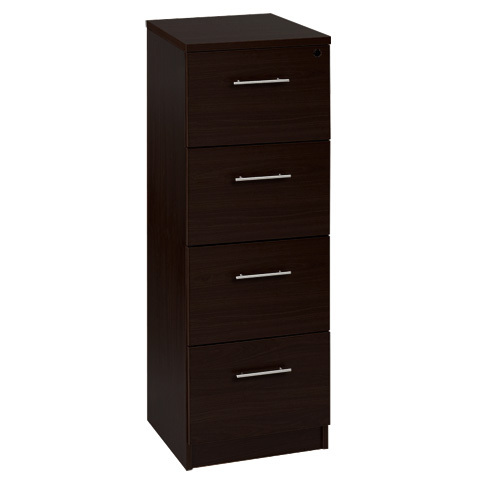 Boasting a central locking system, European hardware, and four filing drawers for legal or letter-sized files, this tall modern file cabinet is ideal for closets and tight spaces. Available in three beautiful laminate finishes, and backed by a 5 Year Commercial Warranty.